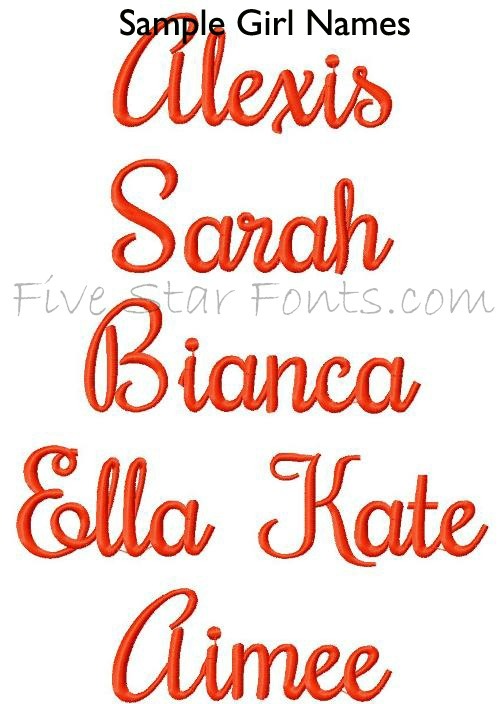 4 Sizes measure approximately, 1.00", 1.50" and 2.00" & 2.50" heights (Note: heights listed are for the Capital letters - lower case, numbers and punctuation are sized accordingly to the capital letters). 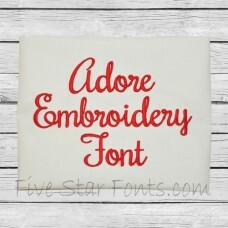 Did you know we have Adore font in Applique version too? 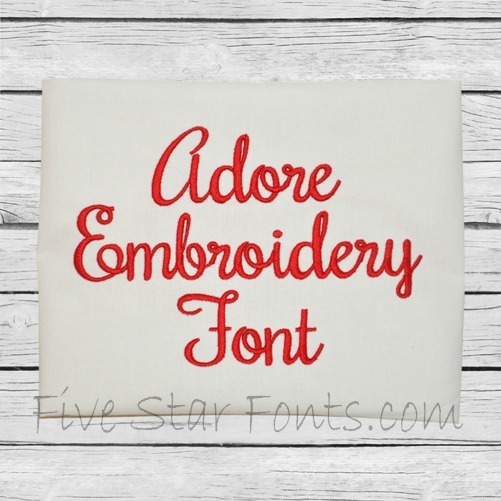 Link to the Applique version of Adore Font can be found in 'Related Products' Tab above. 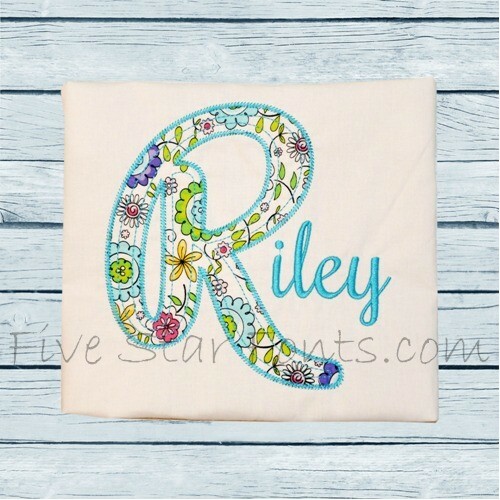 Perfect for customizing clothing, Bibs, Burpies. Bold and Thick, soo cute. 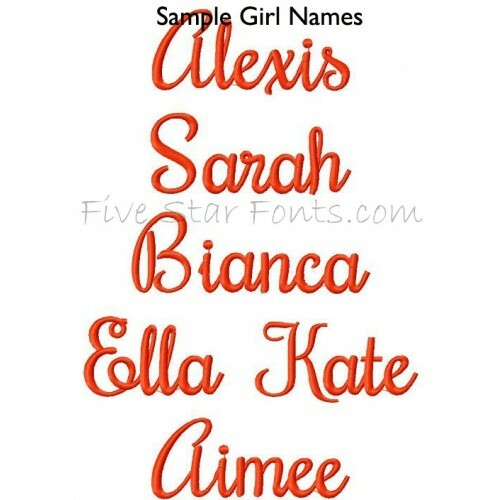 Excellent choice for both boy and girl names.